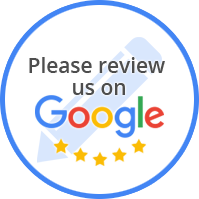 With over 50 years of experience in the heavy duty radiator business, the professionals of River City Radiator Inc. of Little Rock, AR can take care of any cooling problems. 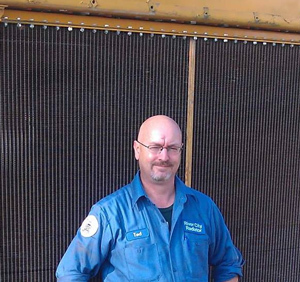 River City Radiator Inc. of Little Rock, AR is a family owned business that started with 2 employees. In 2011, we moved our business from a 10,000 square ft building into a 18,000 square ft building and now employ 6 full time and 2 part time men. our philosophy has always been to treat every customer like they are family. We can rod-out, repair, rebuild, recore or replace with a complete new radiator for any vehicle on or off the road today. 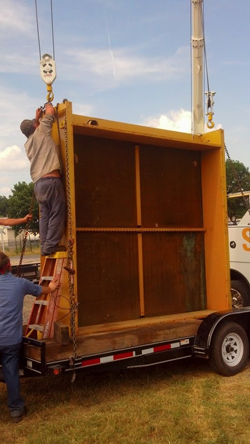 We, also, clean, check, and repair oil coolers, after coolers, condensers, and heat exchangers. Now is the time, with gas prices so high, to have your charge-air-cooler checked for leaks, we clean and repair or rebuild them as well. Save money and time by having it done right the first time with us! Here at River City Radiator Inc. of Little Rock, AR, we can repair or replace your line quickly and cheaper than buying a new line from the dealer. We offer pick up service or you can have it done while you wait! We are now capable of custom making Hydraulic Hoses! Weatherhead is a respected name in hydraulics and we are proud to carry their products. Most hoses can be made while you wait. So, we can save you money and time by taking care of you quickly. We can check your CAC or Charge-Air-Cooler on or off the truck at no cost to you! Save money by knowing you don't have a costly leak! Are you tired of having plastic tanks replaced or having problems with aluminum radiators? For most, there is an all metal, copper and brass core, replacement radiator. They are tough, proven radiators that can stand up to the rigors of the road. Give us a call and see if we can help! I have been in the radiator business for nearly 20 years. I was taught this business by my father-in-law, Bennie Johnson. He spent over 40 years in the business and was respected by everyone that knew him. i do my best on every job and stand behind our work 100 percent.